[tps_footer]In a unique social media campaign, which encourages unleashing ones fears and exhibiting courage, the lead actress of Neerja, Sonam Kapoor has encouraged one and all to speak out loud about their fears and how they overcame it using brief video clips of their experiences. Using the hero Neerja Bhanot as a synonym to courage, as the heroic young girl displayed the emotion exorbitantly while facing fear during 1986’s hijack of PanAm flight 73. The idea behind the campaign is to identify and acknowledge one’s fears and ways in which they overcame the same as this would encourage others to follow suit in times of need. The campaign has been generating tremendous response from all quarters with B-town folks joining in abundance. The campaign gained momentum with people speaking about their fear of spiders, snakes, acceptance, ocean, heights, dreams amongst other fears. Sonam Kapoor herself shared her fear of letting her father down. Amongst the first to participate in the campaign was actor/producer Arbaaz Khan who shared his fear of ‘heights’. Anil Kapoor took part by sharing his fear of going hysterical and berserk on the dinning table while food is concerned. Shahid Kapoor shared a rather light hearted video which also featured his wife Mira Kapoor. Huma Qureshi spoke out loud about her fear of dreams. Karan Johar spoke about his biggest fear which is of his right profile being captured instead of his left profile which he feels makes him look best. Actress Esha Gupta shared to have overcome her fear of ‘Free Falling” by indulging in Sky diving. Superstar Salman Khan too shared a piece of advice given by his father Salim Khan which he incorporates in real life. Parineeti Chopra terms ‘Plane Landing’ to be her biggest fear. Alia Bhatt also shared her fear of ‘Missing out’ which she battles by being everywhere and doing everything. The latest to join the campaign is Priyanka Chopra , who shared a rather unqiue fear which she termed as ‘No-Mo Phobia’ which is the fear of No Mobile Phones. Neil Nitin Mukesh termed ‘Being alone’ to be his biggest fear. Anupam Kher shared to fear losing his memory one day. Designer Anaita Shroff Adajania shares fearing being alone at night. Producer Atul Kasbekar shares his fear of confined spaces. The campaign sure is in sync with the brave acts of Neerja Bhanot who sacrificed her life while saving passengers from terrorists on board the hijacked Pan Am Flight 73 on 5 September 1986 by overcoming her fear and displaying bravery as she went above and beyond her duty in times of crisis. 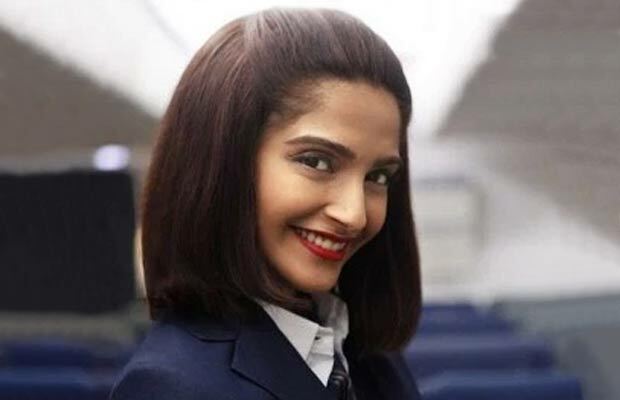 Previous articleWatch: B-Town Support Sonam Kapoor’s Neerja!